In this brave new world, this best of all possible worlds, I take the Internet to be the entire of all existence. I think that a reflection of everything is in the internet, somewhere. Obviously, I will never be able to prove myself wrong – but sometimes I can’t find what I’m looking for. For example, I photographed this sticker stuck in Deep Ellum. It says, “These Villains Creep – TVC.” But I can’t find what this means. The closest possibility that I could find is that it is a subversive ad for a local print shop – TVC One. But that doesn’t feel right. Oh well, thank goodness for small mysteries. 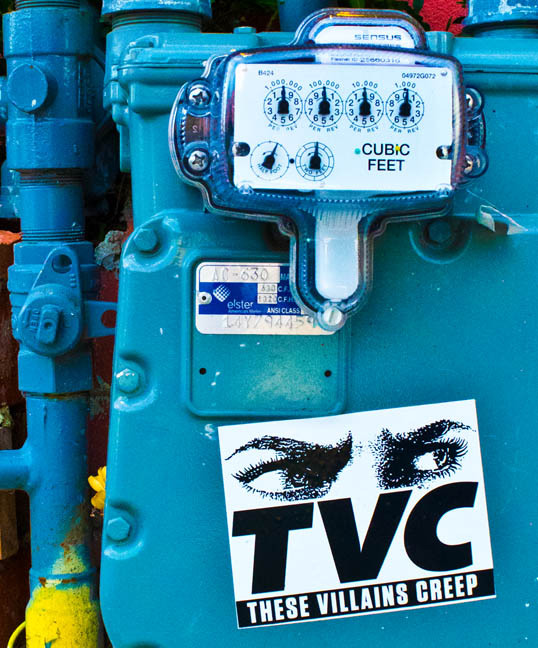 This entry was posted in Photography and tagged Dallas, Deep Ellum, mystery, street photography, these villains creep, tvc. Bookmark the permalink.